Steeped in history, Vietnamese cuisine is one of the jewels of South-east Asia. 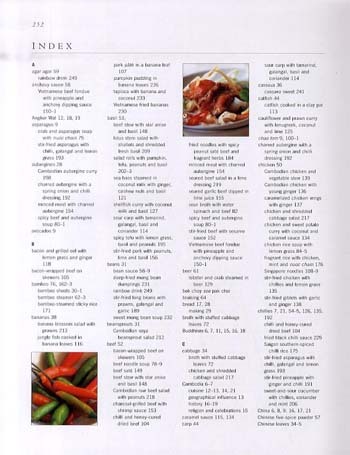 The style of cooking, which has evolved over many centuries, is a wonderful blend of Chinese and Asian spices, flavours and techniques, fused with the ingredients and traditions of classic French food. The result is a wealth of uniquely flavoured, mouthwatering dishes that almost no other country can claim. Vietnamese cuisine does share features with that of its near neighbour, particularly in the use of coconut, coconut milk and herbs and spices, but Cambodia's distinctive if lesser-known style of cooking reveals the influence of India, Thailand and China as well as France. In this book, Ghillie Basan explores the history, culture and traditions of the Vietnamese and Cambodian people, the evolution of their cuisines, and the dishes that have become synonymous with the countries themselves. Evoking the sounds and aromas of the bustling markets piled high with produce, the call of street vendors selling their delicious specialities, and the hum and bustle of the traditional home kitchen, this unique new book offers a real insight into Vietnamese and Cambodian food and cooking at its best. 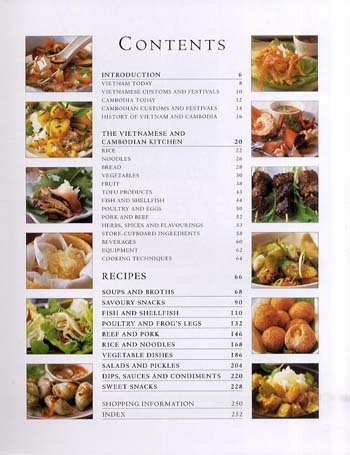 The comprehensive visual guide to Vietnamese and Cambodian cooking ingredients and techniques presents descriptions and photographs of all the key ingredients, including exotic fruits, vegetables, spices, as well as tips on buying, storing and preparation. With more than 150 classic dishes - from the Beef Noodle Soup, Pho, which is eaten morning, noon and night in Vietnam, to Pork Pate spread on Warm Baguettes and drizzled with nuoc cham - Ghillie Basan brings authentic South-east Asian cooking to the Western kitchen. 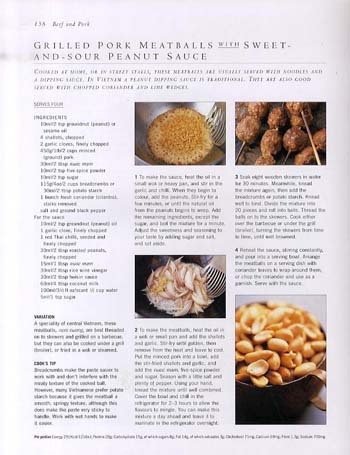 The recipes include classic street food such as Saigon Sizzling Crepes; sophisticated main meals such as Sea Bass steamed in Coconut Milk with Ginger, Cashew Nuts and Basil; sumptuous desserts such as French-influenced Star Anise Ice Cream and Coconut Creme Caramel; and the popular sweet snacks such as Vietnamese Fried Bananas that are enjoyed by all. 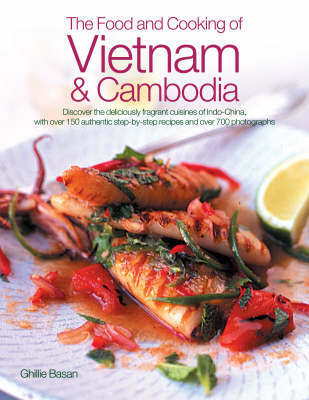 This beautifully written, stunningly photographed book captures the real taste of Indo-China and is irresistible for the adventurous cook who loves exploring new flavours.